Pope Francis in St. Peter’s Square May 22, 2018. Credit: Daniel Ibanez/CNA. 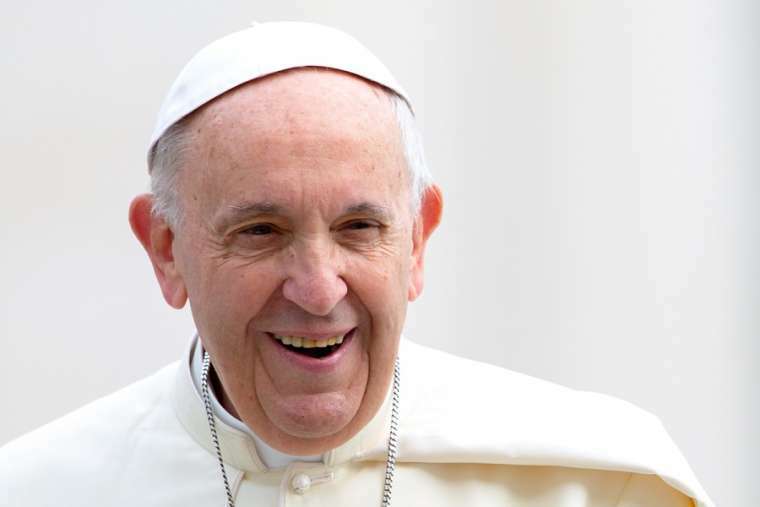 Vatican City, Jul 15, 2018 / 05:57 am (CNA/EWTN News).- By virtue of their Baptism, every Catholic is called to proclaim the Gospel of Jesus Christ – a mission which cannot be separated from the Catholic Church, Pope Francis said Sunday. The first necessary element of all authentic missionary discipleship is the “changeless center, which is Jesus,” he said. This is because proclaiming the Gospel cannot be separated from Christ or from the Church. Jesus’ message to his disciples in this episode of the Gospel concerns not just priests, but every baptized person, who is “called to witness, in the various environments of life, the Gospel of Christ,” he said. “Only if we are united with him, dead and risen, can we find the courage of evangelization,” Francis said. Noting that the center of the mission must always be Christ, he pointed to examples of saints from Rome who are examples of being “humble workers of the Kingdom,” such as St. Philip Neri, St. Benedict Joseph Labre, St. Frances of Rome, and Bl. Ludovica Albertoni. They did not work to advance themselves or their own ideas or interests, but acted always as messengers sent by Jesus, he said.